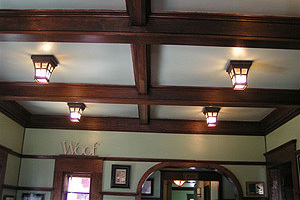 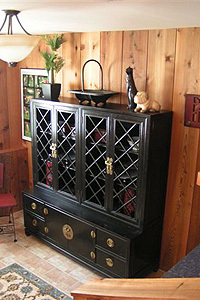 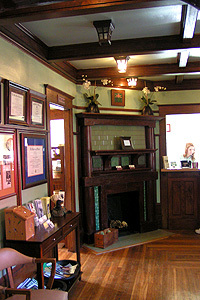 The Main Reception Area is charming and unique, presenting an authentic restoration of wood used during the popular 1920's Arts and Crafts Movement. 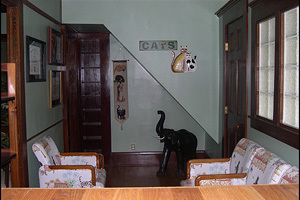 The Cat Waiting Room comfortably separates meows from growls and chirps. 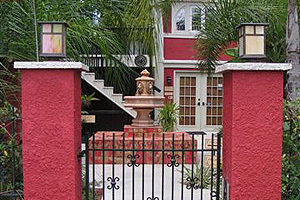 An addition connects the Main Building with the Africa House. 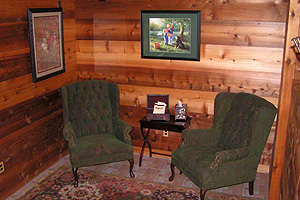 While you wait you can look at the museum - artifacts discovered during excavation. 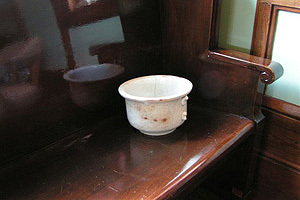 The 1920 jury bench is from the Orange County Courthouse. 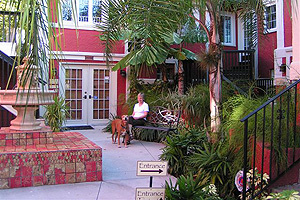 Or you may want to relax in the courtyard. 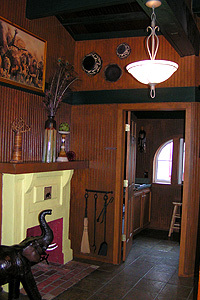 An alternate reception area for those unable to climb stairs is located through the French doors. 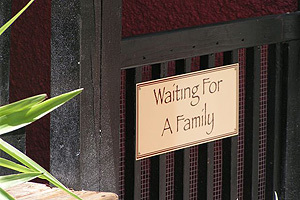 Just ring for service! 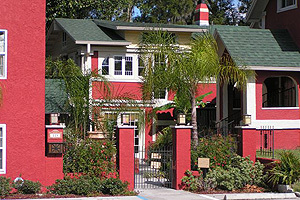 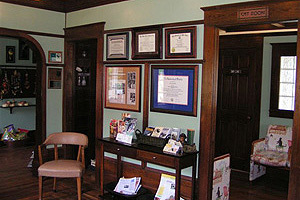 The Africa House has a waiting area, two exam rooms, treatment room, and bathroom facilities. 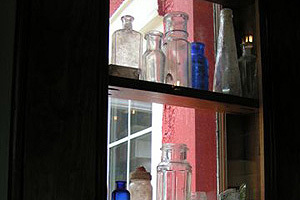 The Africa House is filled with African artifacts and antiques. 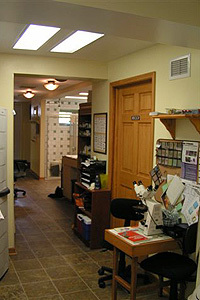 The Treatment Room is to the right. 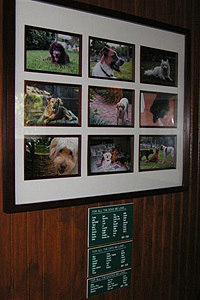 A memorial to the owners' pets contains photos and names dating back to 1935. 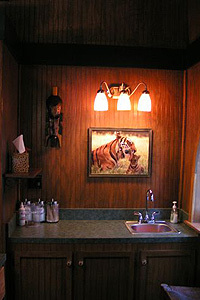 The Cheetah and Manatee Exam Rooms offer a visit to the "wild" side. 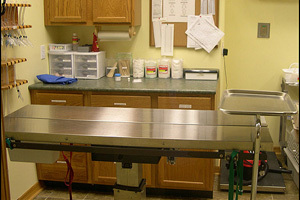 The Main Treatment Area houses Radiology, a Surgical Suite, an Isolation Ward, and holding cages. 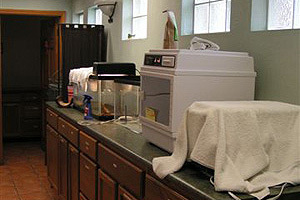 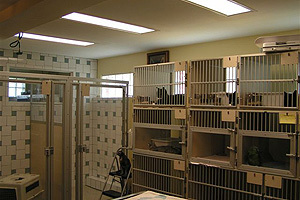 Cats and dogs waiting treatment are kept in clean, comfortable surroundings. 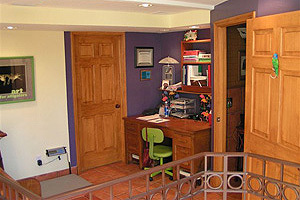 Alternate Reception contains the Yellow Laborador Exam Room and a handicapped bathroom. 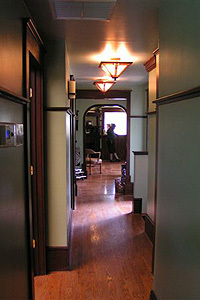 Through the rear door is the Exotic Treatment Room. 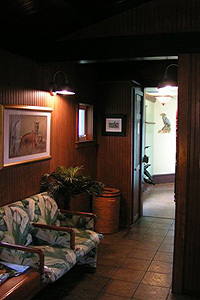 On any given day the Exotic Treatment Room may contain a parrot, iguana, song birds, an eagle, or even a bobcat! 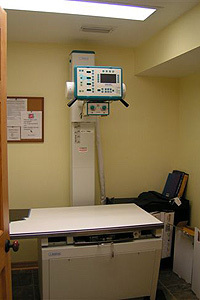 The Surgical Suite is set up to facilitate quick response and superior care. 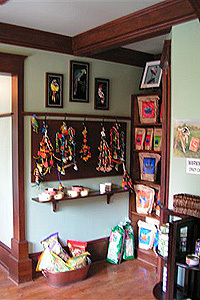 Before you leave please stop by the Gift Shop to purchase a treat for your pet! 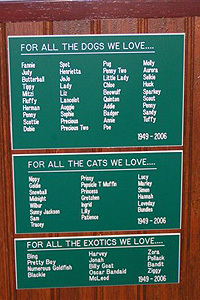 There are three Exterior Adoption Areas, one for cats and two for dogs. 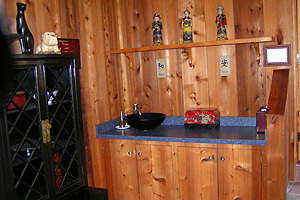 The Acupuncture Room is decorated with Oriental pieces to provide authenticity while your pet receives this ancient Chinese treatment. 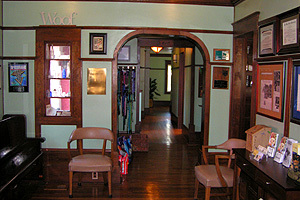 The Acupuncture Room imparts tranquility for both patient and client. 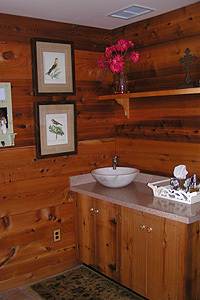 The aroma of cedar and a soft flowing fountain impart a peaceful and harmonious environment. 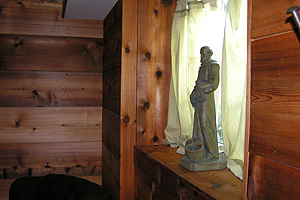 his beloved pal Bernard, and devoted father, Terry Jorgensen.